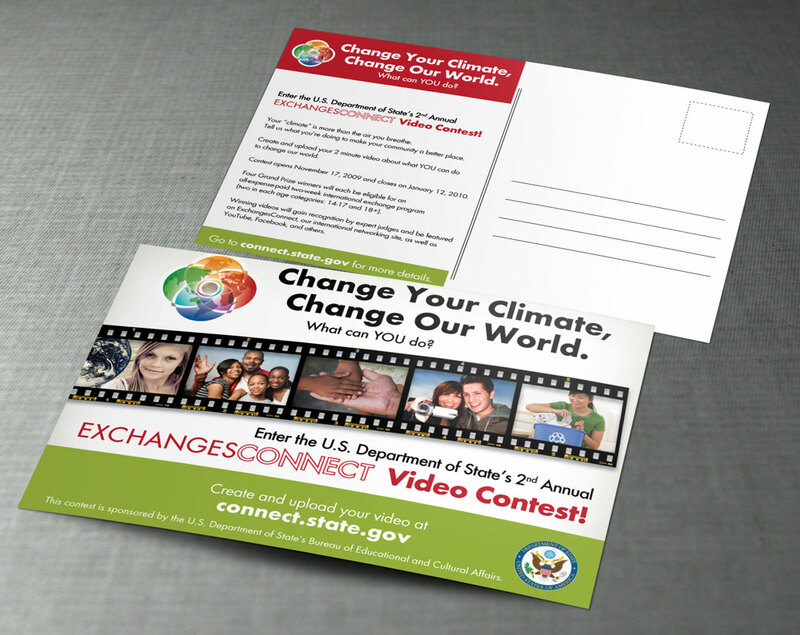 The U.S Department of State's Bureau of Educational and Cultural Affairs (ECA) launched an interactive video contest "Change Your Climate, Change Your World" on their social media, Exchanges Connect. The aim was to promote mutual understanding among members by highlighting cultures, commonalities, and exchange program experiences, through user-generated content like forums, blogs, photos, and videos. 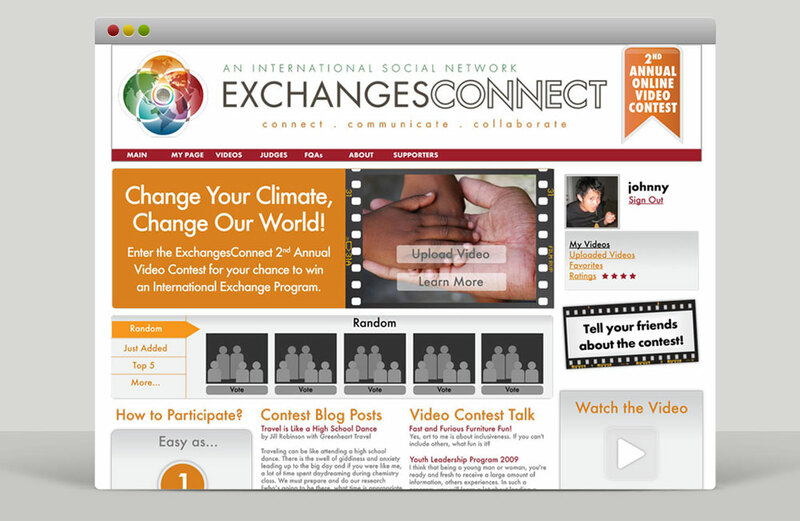 I was tasked with the overall look and feel of the contest, including the design of the official posters, mailing and rules collateral, web widgets and interface of the contest portal.